Hungary. (1871 – 1937). 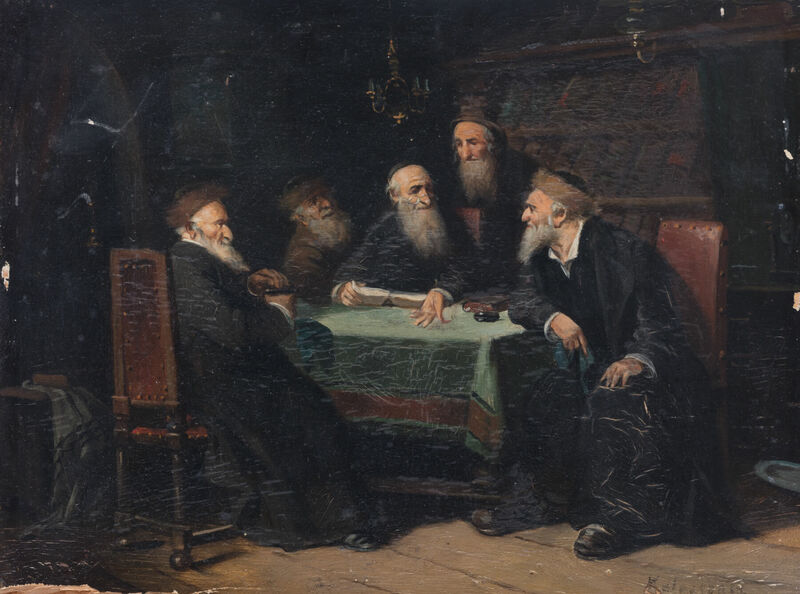 Rabbinical scene. Oil on panel. 12.3” x 9.1”.